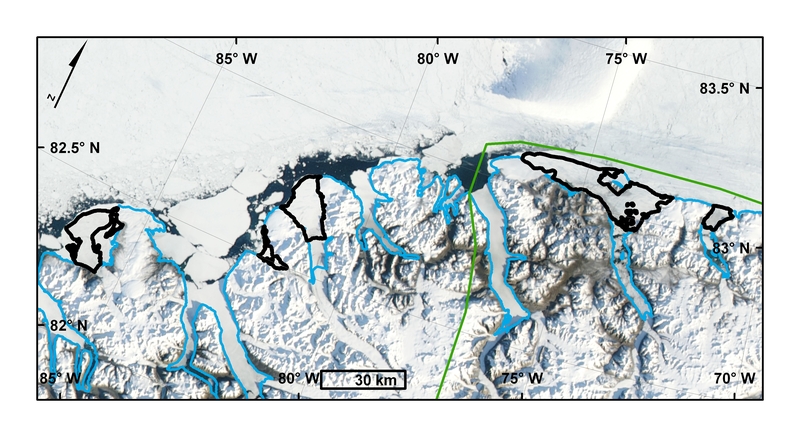 Map of Ellesmere Island ice shelves at the end of August 2008. Ice shelves are outlined in black. Left to Right: Serson, Petersen, Milne and Ward Hunt. 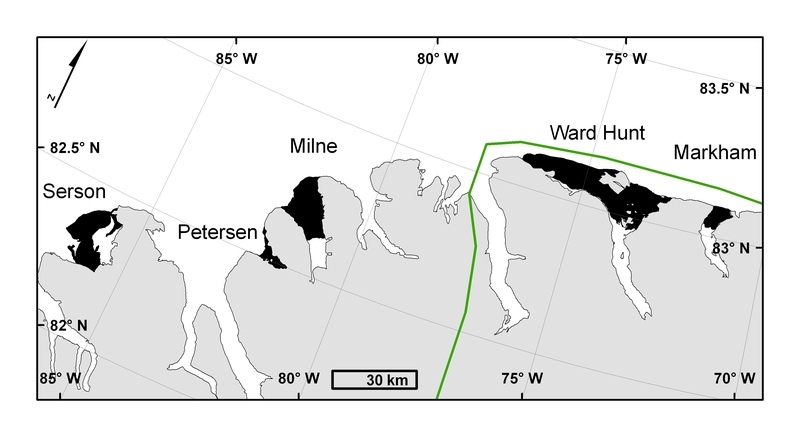 Quttinirpaaq National Park outlined in green. 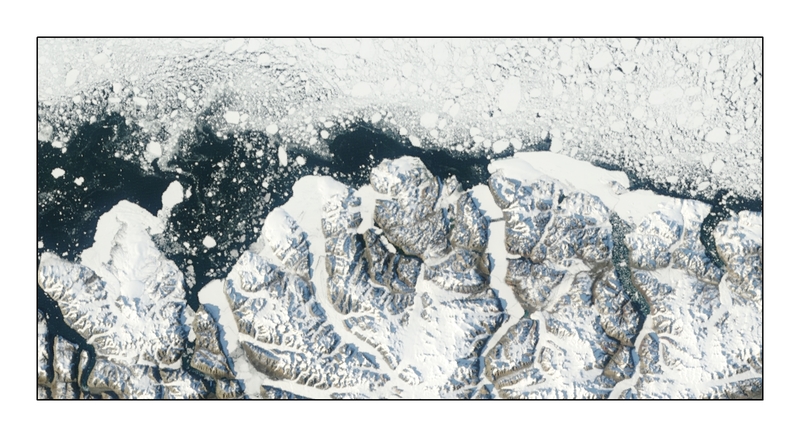 August 29, 2008 MODIS image from the Rapid Response Project at NASA/GSFC. Map courtesy of Derek Mueller, Trent University. 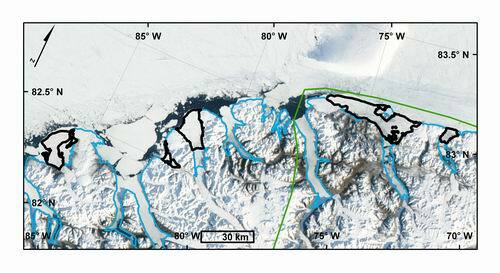 Map of Ellesmere Island ice shelves at the end of August 2007. 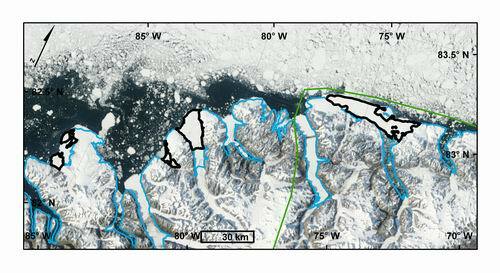 Ice shelves are outlined in black. Left to Right: Serson, Petersen, Milne, Ward Hunt and Markham. Quttinirpaaq National Park outlined in green. 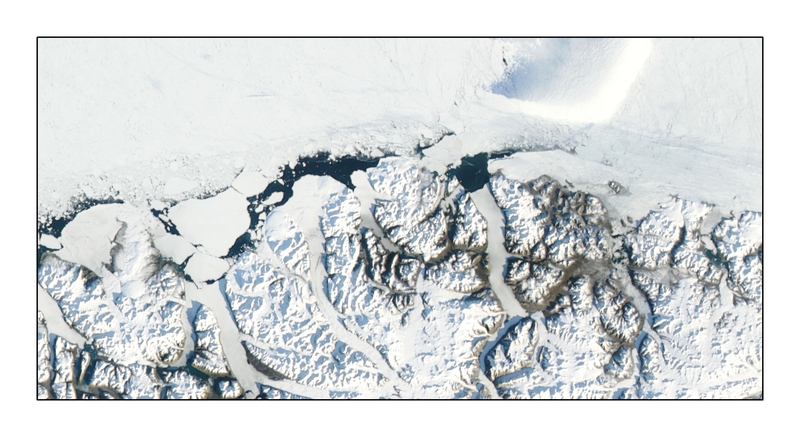 August 30, 2007 MODIS image from the Rapid Response Project at NASA/GSFC. Map courtesy of Derek Mueller, Trent University.